From individual home furnaces to the bright lights of the big city… keeping homes and businesses powered-up takes round-the-clock operations at power plants. Whether from coal, gas, nuclear energy, wind, or solar sources… power plant operators, distributors, and dispatchers control the systems that provide electric power. Nuclear power reactor operators control nuclear reactors. They monitor reactor equipment and systems, adjusting controls as needed. Operators may need to respond to abnormalities, determine the causes, and fix the issue. They must be licensed by the U.S. Nuclear Regulatory Commission. 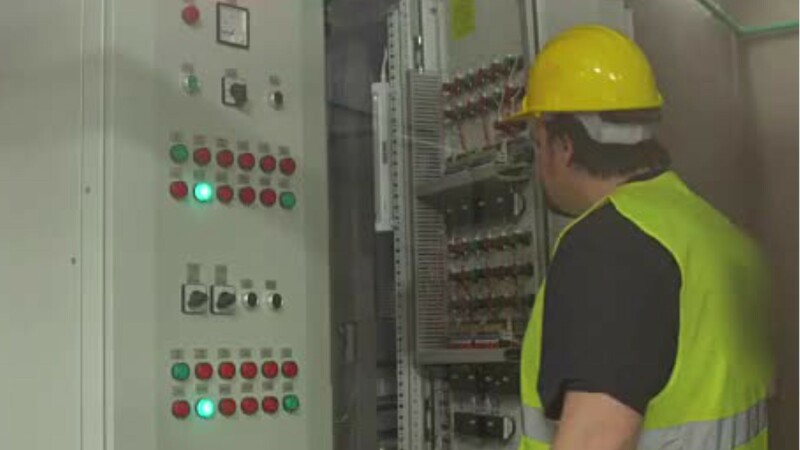 Power plant operators oversee machinery to generate electricity, and keep the system in balance and under control. They monitor instruments to maintain voltage and electricity flows from the plant to meet consumers’ fluctuating demand for electricity. Power distributors and dispatchers control the flow of electricity traveling from generating stations to substations and to users. They reroute electrical currents around areas that need maintenance or repair, and prevent further damage during emergency outages. Many of these workers operate in highly secure environments, and give their full attention to monitoring controls during their shift… occasionally walking rounds to check equipment. Work schedules are often rotating 8- or 12-hour shifts, which can be wearing as living and sleeping patterns change frequently. While job requirements may vary from a high school diploma to a bachelor’s degree, these jobs all require extensive on-the-job training. Candidates must pass background checks, as well as drug and alcohol screenings. An understanding of mechanical concepts, spatial ability, and mathematical ability are necessary. See more details at O*NET OnLine about power plant operators. Power Plant Operators by U.S. Department of Labor, Employment and Training Administration is licensed under a Creative Commons Attribution 4.0 International License.